Chandler helping Dan decorate our home for Christmas. 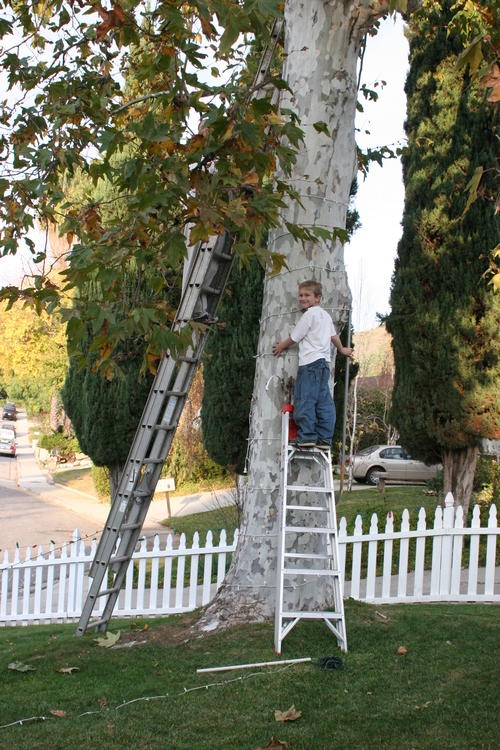 Yes, a little crazy letting him up the ladder... I wasn't home.